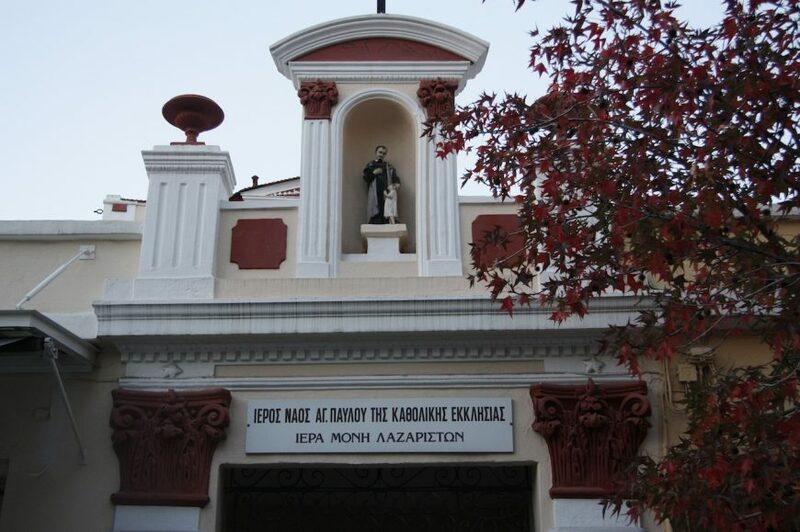 Moni Lazariston (Lazarists Monastery) was built in 1886 by the monks of the Order of St. Vincent de Paul (Lazarists) in Stavroupoli and is among the most important monuments in the city. The main purpose of the Lazarists was to help the poor and educate the clerics in order to spread Catholicism. Over the years the monastery changed uses and roles and left its mark in history. The monastery was deemed uninhabitable in 1978 due to destruction caused by earthquakes and was abandoned. 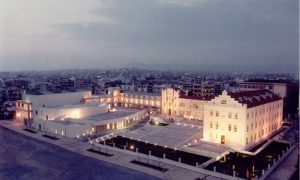 In 1997, when Thessaloniki was Cultural Capital of Europe, it was renovated, restored and was attributed to the society of Stavroupoli as a facet of its history. The construction of the site began in 1886 by the Lazaristes, a congregation of Catholic monks from the Saint Lazare church in Paris. The Lazaristes moved to Greece in the 18thcentury, taking over all the wealth of the Jesuits, who – by the 17th century – had already developed important projects of educational and social character in the Greek territory. Their presence became evident from 1861, when the Sisters of Mercy Abbey was built in the area of ‘Zeitenlik’, in an acreage which the Lazaristes had bought in 1859 in order to shelter the first children’s asylum. 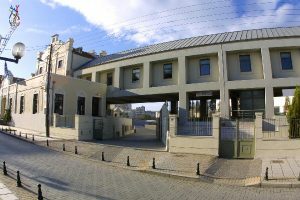 The same building accommodated the French school of nuns ‘Agios Pavlos’ and many other activities, which were managed by the Catholic nuns. The Lazaristes engaged in relevant activities in the Abbey Seminary, which was especially famous for the quality and the level of education that offered, and managed to function successfully until the outbreak of the Balkan Wars in 1912. Except for the events held by these organizations throughout the year, the Non-Profit Organization of Moni Lazariston organizes the Festival of Moni Lazariston in the open-air spaces of the complex during summer. 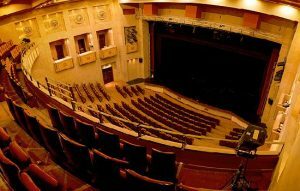 Moni Lazariston today offers a rich and multicultural program of entertainment while strengthening the metropolitan character as well as the Balkan and European identity of Thessaloniki. Transfer Thessaloniki is the best way to discover this beautiful monastery! We are here to transfer you from Thessaloniki Airport to Thessaloniki city center. Your transfer, is our pleasure!